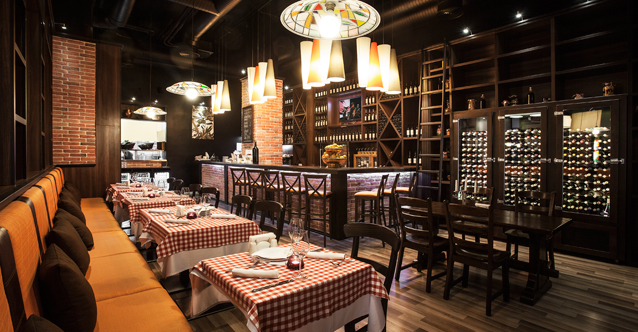 La Pastaria is designed to capture the hospitable atmosphere of an Italian restaurant the way you will like it. Whether an everyday lunch, a family or a business dinner La Pastaria chefs pay attention to every dish and use only fresh and high-quality products regarded to the classic Italian culinary and the modern nutritional recommendations. In the new La Pastaria Sopharma restaurant we are welcoming you with a glass of wine and a fine antipasti selection from the Prosciutto bar to prepare your taste and mood for the delicious and beautiful food we served. Cooking, serving and pouring the wine are so attractive that our kitchen is wide open for your eyes as well as the rich wine bar with its special wine dispenser.